Enjoy a kayak tour on the Brisbane River at night, when colorful lighting illuminates the Story Bridge and your kayak also glows with light. Have the option to upgrade the 90-minute tour with a delicious barbecue dinner to feast on when you return to shore. The barbecue is accompanied by beer, wine and soft drinks, and enjoyed at a great riverside location. 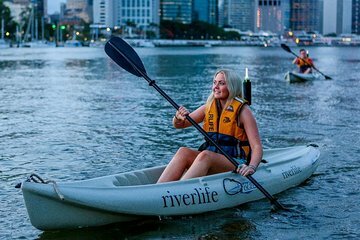 Suitable for all levels of experience, the night kayak tour makes for a fantastic experience of Brisbane.